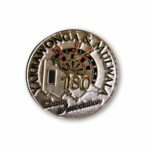 Custom Ghana Enamel lapel pins for event promotions, company gifts, trade show giveaways, employee awards, fundraising, brand awareness or collecting. 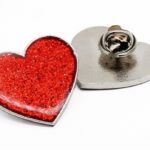 Soft or hard enamel lapel pins are best sell and popular during the Ghana clients. 7 days rush order turn around time of any selection pins for the clients. 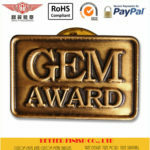 Some clients also want the imitation hard enamel and offset print lapel pins. Learn more feel free contact us. What is the best sell enamel pins in Ghana ? The Ghana flag enamel pin. Before design and make the pins, let us learn some about the Ghana country. The Republic of Ghana , is referred to as a country of western Africa. In West Africa, north shore of Guinea Bay, west of Cote d’Ivoire, Burkina Faso to the north, east adjacent Togo, south of the Atlantic, about 562 kilometers long coastline. The terrain is long and narrow in the north and south. Throughout large areas for the plain, east of the Ake Wa Pim mountains, South kwahu plateau, northern gambaga scarp. The highest peak 876 meters above sea level Boshan jiebo. Designed Ghana flag Pins most are soft enamel color made from zinc alloy material. 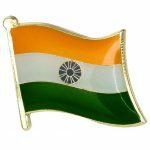 Buy the flag pins from Better Finish Ltd, at wholesale cheap price, no minimum order. Backside is butterfly clutch. Some time use the magnets at attachment. How to design the Ghana Enamel Lapel Pins? Before make the custom pins, it is better to learn more features about the country. What is the Ghana’s etiquette? General etiquette: it is difficult to describe the custom in the country because of the great differences between the groups of nationalities. Appellations and greetings: the habit of meeting and saying goodbye is a handshake. Dating and punctuality: beforehand dates and punctual appointments, but Ghana may be late or even don’t show up at all. Action: do not use the left hand for any action. The custom of meeting or saying goodbye to the Ghana people is to shake hands with a handshake. When they shake hands with the team, they are usually used to shake hands from right to left, no matter who they are old, young and high or low. 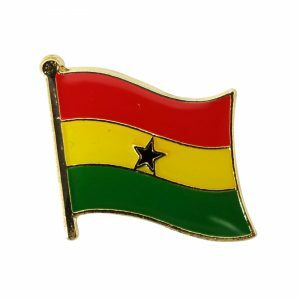 This entry was posted in All countries, Cheap Custom Pins and tagged Ghana Custom Lapel Pins, Ghana Enamel Lapel Pins, Ghana Flag Lapel Pins, Ghana Lapel Pins, Ghana Pins. Bookmark the permalink.